Arkansas boasts nationally recognized doctors and health care facilities, with several large health care providers and the state’s teaching and research institute located in Little Rock. Statewide services include the areas of heart health, orthopedics, home health care, wellness, geriatrics and hospice care. 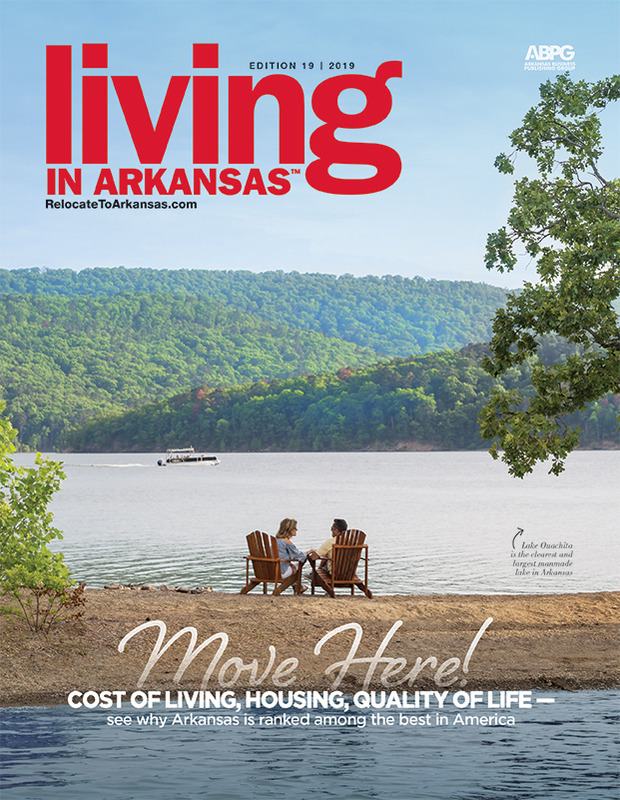 If you’re considering retiring or relocating to Arkansas, rest assured that your long-term health will be in good hands. Arkansas boasts nationally recognized doctors and health care facilities, with several large health care providers and the state’s teaching and research institute located in Little Rock. Statewide services include the areas of heart health, orthopedics, home health care, wellness, geriatrics and hospice care. Numerous veterans facilities are found around the state for those who have so valiantly served our country. If you’re considering retiring or relocating to Arkansas, rest assured that your long-term health will be in good hands. To learn more about the state’s renowned hospitals, visit www.ArkHospitals.org/Hospital-Directory. Arkansas Children’s Hospital (ACH) is the only pediatric medical center in Arkansas and one of the largest in the United States. ACH provides the most comprehensive pediatric care in the region and is home to Arkansas’s only burn center. A nationally recognized and award-winning hospital dedicated to the prevention, diagnosis and treatment of cardiovascular disease, Arkansas Heart Hospital teams advanced technology with a highly trained support staff and Arkansas’s leading cardiologists and cardiovascular surgeons. The state’s most comprehensive health care system, Baptist Health has more than 175 access points, including major medical centers, family clinics and therapy and wellness centers. The Central Arkansas Radiation Therapy Institute has treated cancer patients at seven Arkansas locations in the past 35 years. Programs at CARTI include support groups for cancer patients and their families, CancerAnswers luncheons, weekend patient retreats and counseling. The two VA medical centers are John L. McClellan hospital in Little Rock focused on acute care, and Towbin Health Care Center in North Little Rock providing long-term, chronic care. Outpatient clinics: Conway, El Dorado, Fort Smith, Harrison, Helena-West Helena, Hot Springs, Jonesboro, Mena, Mountain Home, Ozark, Paragould, Pine Bluff, Russellville, Searcy and Texarkana. CRHS includes a medical center, four health clinics, a fitness center, home health agency, therapy clinics, inpatient rehabilitation and staff of more than 180 primary care physicians and specialists. The health system’s anchor facility is a nonprofit, acute care hospital serving five counties. Saline Memorial Hospital is a full-service, 167-bed facility that has served Saline County and the surrounding areas for more than 55 years. St. Vincent Health System has hospitals in Little Rock, Morrilton and Sherwood and 43 primary care and specialty clinic locations. St. Vincent Infirmary in Little Rock has the first and only cardiac hybrid operating room in Arkansas for complex heart surgery. It’s also the first and only hospital in the state to earn the American Nurses Credentialing Center Magnet designation for nurse excellence. UAMS is the state’s only comprehensive academic health center. Named “best Little Rock metropolitan area hospital” by U.S. News & World Report, it’s the only adult Level 1 trauma center in the state. Its Donald W. Reynolds Institute on Aging is dedicated to the needs of an aging generation. White County Medical Center is committed to the continuous improvement of quality patient care, as well as the provision of care at reasonable prices and the maintenance of an adequate margin for reinvestment in new technology and facility improvements. Arkansas Methodist Medical Center has served the residents of northeast Arkansas and southeast Missouri with quality, compassionate healthcare for nearly 65 years. In October 2011, Chateau on the Ridge Assisted Living was opened on 10 acres of nearly 53 wooded acres off Carroll Road in Paragould. Crittenden Regional Hospital (CRH) strives to provide patient-centered health care services in accessible locations to better serve West Memphis and the surrounding areas. Great River Medical Center is a full-service hospital with 168 beds that is committed to keeping quality health care closer to home for the community. Helena Regional is a community-based hospital offering 155 beds, a 24-hour ER, cardiac rehabilitation, home health care and a host of inpatient and outpatient services. The center also runs a local chapter of Senior Circle, a national organization dedicated to enriching the lives of adults age 50 and older. St. Bernards Medical Center serves Jonesboro and the surrounding community. The 55Plus program offers seniors a comprehensive package of health-related services, activities and discounts. St. Bernards also houses the Center on Aging-Northeast, serving the health and wellness needs of seniors. Baptist Health–Arkadelphia is committed to serving the citizens of southwest Arkansas. Specialty services include CT, MRI, digital mammography, eICU, sleep studies, emergency services and a mobile health unit. Since 1888, Mercy Hospital has served the healthcare needs of Hot Springs and surrounding communities. 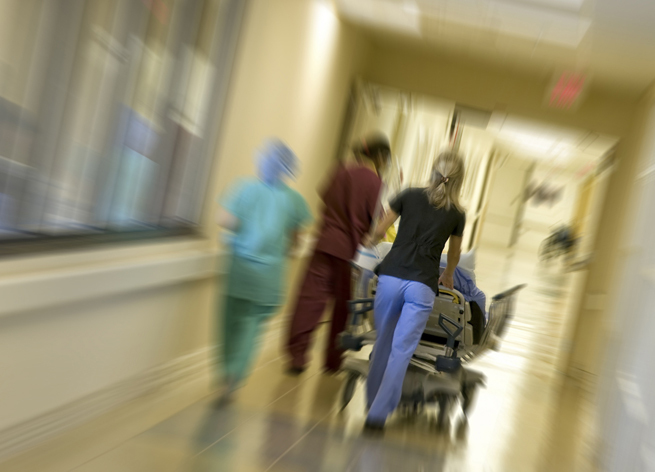 Mercy is a 282-bed, full-service hospital, providing an emergency department with a Level 2 Trauma Center designation and a comprehensive range of medical services. Mena Regional Health System offers a diverse compliment of inpatient, outpatient and home health services. Inpatient services include acute care medical/surgical services, a six-bed ICU, labor and delivery services, a 12-bed geriatric psychiatry unit, and a 12-bed physical rehabilitation unit. Mercy Hospital–Waldron offers a range of health care services for individuals and families, from wellness exams and consults to full hospital care and laboratory services. National Park Medical Center is a 166-bed acute care facility providing services to the residents of a five-county area. The hospital includes a Chronic Pain Management Center, Diabetes Center and Arrhythmia Center. The Home Health Care and Home Health Heart Care services assist patients after they are discharged. Mercy Hospital–Northwest Arkansas is a nonprofit, faith-based health system that includes Mercy Medical Center, St. Mary’s Hospital, the Gardens at Osage Terrace Assisted Living Facility and Mercy Medical clinics in 22 locations throughout the region. Northwest Medical Centers (NMC) offer a full range of services, including neurology, oncology, orthopedics, pediatrics and more. NMC is a leader in diagnostic and interventional cardiac treatment, among other services. And at the Springdale location, the state’s first open-heart surgery was performed. The Veterans Health Care System of the Ozarks provides for the health care needs of Veterans in the Fayetteville area. It also has Community Based Outpatient Clinics in Fort Smith, Harrison and Ozark. Washington Regional Medical Center (WRMC) offers a comprehensive range of services, including the Walker Heart Institute, Pat Walker Center for Seniors and the Johnelle Hunt Women’s Center. Willow Creek Women’s Hospital (WCWH) is Arkansas’s only full-service women’s health provider. WCWH offers more than 10 specialties and subspecialties, including full OBGYN services, labor and delivery, recovery and postpartum suites, lactation specialists and more. Johnson Regional Medical Center is focused on providing modern, comprehensive healthcare services in a convenient location. The recent 35,000-square-foot expansion houses a state-of-the-art emergency department, radiology facilities, five surgery suites, and a beautiful registration area. Mercy Hospital–Fort Smith houses 373 acute licensed beds, the Hembree Cancer Center, a neonatal intensive care unit (Level III), an ambulatory surgery center, an inpatient hospice unit, and is home to Arkansas’s only Ronald McDonald Family Room – a daytime retreat for parents of NICU babies or a place for them to sleep if they live more than 30 miles away. Sparks Regional Medical Center, Arkansas’s first hospital, is a 492-bed acute care facility providing comprehensive healthcare services to the River Valley. Sparks’ accredited Chest Pain Center and Primary Stroke Center are nationally recognized for its stroke and telemedicine stroke programs. St. Mary’s Regional Medical Center is a 170-bed, acute care hospital providing a comprehensive range of medical and clinical services to the River Valley area. Services include cardiology, orthopedics, emergency services, general surgery and more. St. Vincent–Morrilton offers convenient health care and ancillary services typically associated with larger facilities in larger cities. Those services include emergency, general surgery, urology, intensive care, laboratory services, orthopedics, outpatient surgery, radiology and imaging, rehabilitation, senior day care, sleep lab services, and wound care. Originally constructed in 1950 with 62 beds, Summit Medical Center is now a 103-bed, full-service general acute care hospital. Located in Van Buren, it serves more than 160,000 residents of Crawford, Franklin and Sebastian counties in western Arkansas and Sequoyah County in eastern Oklahoma. Jefferson Regional Medical Center (JRMC) is a nonprofit hospital serving a 10-county area. The 125 physicians represent more than 30 specialties. JRMC is also deeply committed to improving the health of the community, participating in numerous health fairs and providing free services such as diabetes education and mammograms. One of the largest comprehensive medical centers in south Arkansas, this major medical center opened a new cardiovascular surgery center in March 2006. The South Arkansas Center on Aging Senior Health Center provides services in an environment designed for individual care needs. Ouachita County Medical Center strives to provide the community with accessible, quality healthcare in a safe and confidential environment. The hospital offers a continuum of health care services ranging from preventive care to geriatric services. Wadley began as a 15-bed hospital in 1900. Today, the hospital has 370 beds and continues a long tradition of family-centered care. Through all stages of life, Wadley’s staff works to ensure patients and their families receive the care and attention they need during their stay.